How do I add a Product Filter to the Booking Calendar? If your business rents out different types of products such as boats and cabins and you want to separate the calendars on your website, then using the Product Filter is the best way to achieve this. 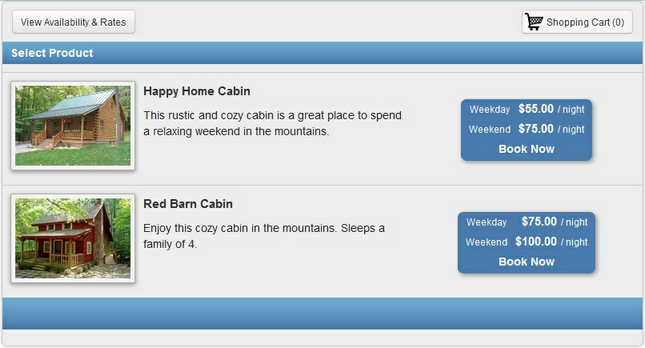 It is also useful if you want a separate booking page for each of your rentals. Adding a product filter to the booking calendar will instruct the system to only show the calendar for the products you designate in the booking calendar code. You are able to have multiple products using the filter as well as have multiple calendars with different product filters on your website. 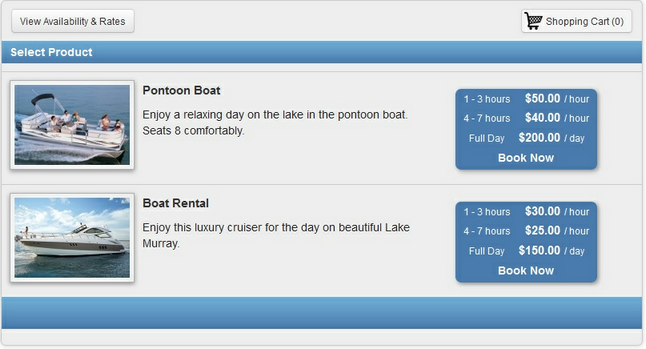 For example, you have 2 cabin rentals that you want to show on one calendar and 2 boat rentals that you want to show on another calendar on your website. Example below will illustrate this. In order to add a filter to the calendar, you will need to access the product ID for your products in the system. See the article here: How do I find the Product ID? Once you access the product id's for your products, you will then copy the code from the Website tab and add the parameter &productfilter=PRODUCTID. You will need to add the parameter in two places within the code. In order to show more than one product on a calendar, you will add multiple product ids separated by commas. See example below. Pro Tip: You cannot edit the code within the Website page, so you will need to copy the code and paste it into an editable document such as Notepad. Important! Adding a product filter will not allow a customer to use this calendar to book any of your other products within the same reservation. If you do want to allow customers to book more than one product at a time, then using the product filter parameter is not recommended. Alternatively, you should use the page & ptid parameter as described in this article: Opening the calendar to show one product.